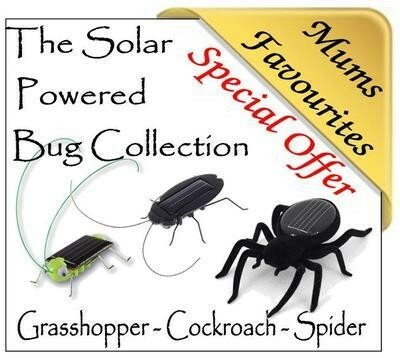 This set of three solar powered bugs are guaranteed to scare anyone. As soon as sunlight hits the solar cells, these bugs start vibrating and crawling around all over the place. The design of these solar toys is very deceptive and perfect gadgets for any party.